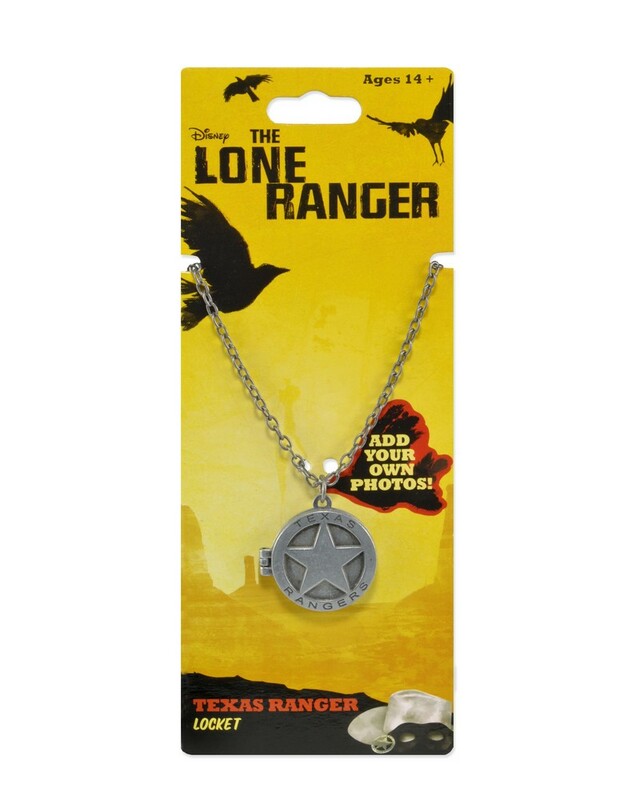 The Wild West can be a rough and tumble place – so any official Texas Rangers out there will want to keep their loved ones close to their hearts with this locket necklace from The Lone Ranger! 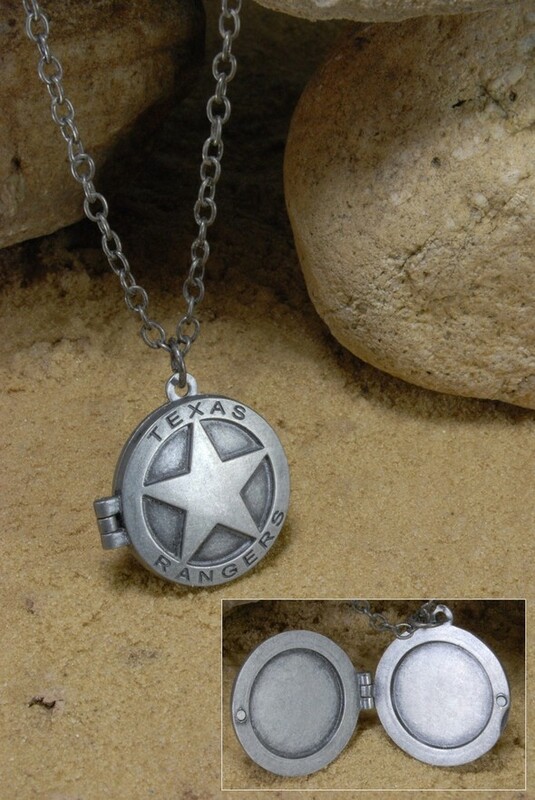 The antiqued silver-tone locket is shaped like a Texas Ranger badge and can hold two pictures inside. Closed, the locket measures about 1.5″ across. It comes on a 16″ chain with lobster clasp closure.